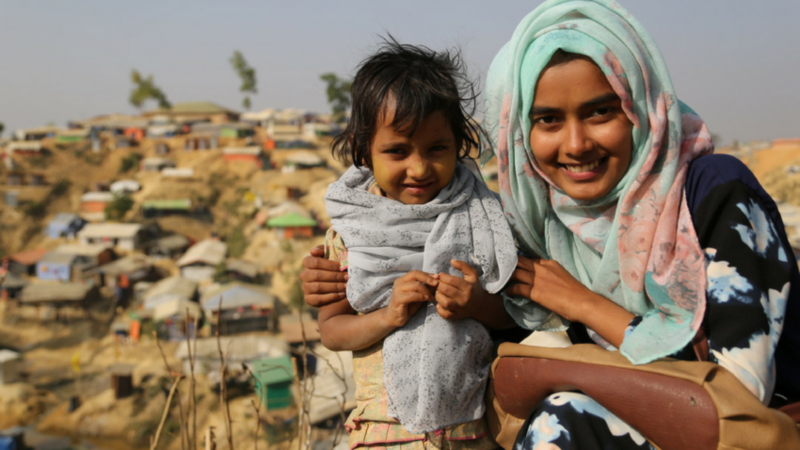 In the midst of the massive refugee crisis along the Myanmar-Bangladesh border, a 19-year-old woman found her calling as an interpreter for World Vision. Read how education empowered Tanjin and how she’s found a hidden strength in helping refugee voices be heard. As a World Vision interpreter in Cox’s Bazar, Bangladesh, I hear many harrowing stories every day from refugees who have fled the violence in Myanmar, especially from women and girls. Young and old, pregnant women and new mothers, sexually abused adolescent girls and orphans — their stories reveal loss, fear, worries, grief, hopes, and aspirations. In early September 2017, I visited the refugee camps for the first time. We met parents who had lost their children and many children who had seen their parents murdered. Most people camped on the roadside under the open sky, helpless. They lost everything when they fled. Once they owned land and held jobs; now, they have nothing. I met women about to give birth who didn’t even have a cloth to wrap their babies. This vast influx of people flowing into Ukhiya, my small town, both scared and moved me. One day, I saw a refugee girl staring at me. She appeared to be about my age, 19. “That could be me,” I thought. What would my life be like living in this camp? Most teenage girls are confined to their cramped tents. They cannot study or work or move freely outside their shelters. Parents fear they may be attacked. Incidents of gender-based violence and sexual assault are prevalent in the camps. This girl looked curiously at me — a young working woman speaking boldly in public, which is so unusual in her community and in mine. Every day, young girls in the camp haul heavy jars of water uphill and gather firewood from the jungle. Many are raising their younger siblings. They cook over open fires, smoke stinging their eyes. But behind those reddened eyes, I see their hidden dreams of going to school one day. There are no formal schools in the camps. 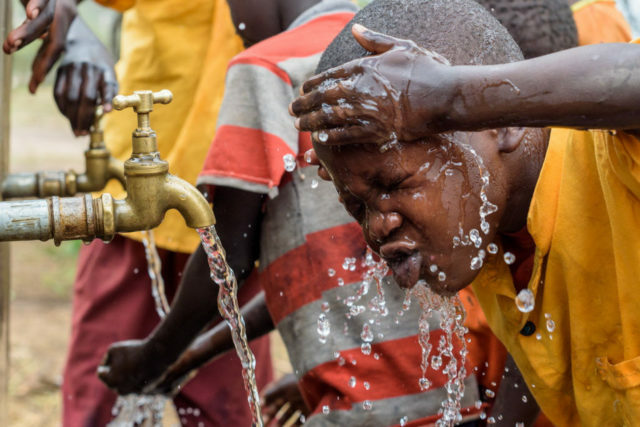 According to UNICEF, some 319,000 children need humanitarian assistance. Education is what makes my life so very different from theirs. I grew up in a rural, conservative, male-dominated culture that still doesn’t think about women’s empowerment. Parents are often unhappy when a girl is born. If she is not good looking, she is considered a curse and her mother is blamed. Girls are allowed to attend school, but very few finish. They drop out and are confined to the four walls of their houses. Education is not for a girl’s personal or career development; it’s only to get a good husband. Many of my friends married as teenagers. None of them wanted this, but they had no choice. I have an answer for them. If you do not allow girls to be educated and get jobs, and you force them into child marriage, how will they ever take care of you in old age? My parents are not well-educated, but they enabled me to finish high school. They are poor, but they gave me the opportunity to build my career as I wished. They supported me through every step of my struggle. When I started working with World Vision, they encouraged me highly. Some people in my community still cannot accept me. They don’t think it is respectable for a woman to work outside their home. They often spread rumors about women like me who work for humanitarian organizations. Sometimes, this pressures me mentally. When my mother visits our neighbors’ house, they speak negatively about women’s empowerment. I used to dream of becoming a doctor. It affected me, mentally and emotionally, when I couldn’t go to a good university. My parents couldn’t afford it. I have to earn money to support my family because my father was injured and can no longer work full-time. Before I began working, nothing felt good or right to me. My life was a barren field of leisure. I stayed home alone all day. I almost forgot my dream completely. Things changed when I began working with World Vision as an interpreter several months ago. Listening to refugees’ stories and seeing their harsh conditions, I realize what a struggle life is. I want to speak out for them. I feel a hidden strength when I do this. I want to share my ideas with women in my society who are not allowed to go outside. They don’t understand its vastness and all there is to learn. Society defines women as birth-givers whose only work is taking care of children. If a woman can give birth to a future president and raise him, then why can’t she be one? Women can change this narrow mentality in our society. We need to raise our voices about the importance of educating girls and the benefits for everyone of empowering women. I believe it is very important for women to work outside the home in order to be familiar with the world and learn to cope with life’s challenges. I’m a good example. I feel my mentality changing and my skills growing now that I have a job. At first, I was afraid to serve in this emergency situation. Now, I’m proud to be working for the well-being of humans, advocating for better living conditions for refugees, and standing beside them in hard times. When I’m interpreting their stories from Rohingya to English or Bangladeshi each day, I am the voice of these distressed people. They are looking for someone to hear them and support them to dream again — for themselves and their children. In my work with World Vision, I have found my own place. Tanjin Ifat Tanny Islam Sathi is an interpreter for World Vision’s Myanmar-Bangladesh refugee emergency response. Since August, about 700,000 people from Myanmar have fled to Bangladesh because of extreme violence in northern Rakhine state. Most of the Myanmar refugees identify as Rohingya, a Muslim minority ethnic group, in predominantly Buddhist Myanmar. World Vision is actively responding to this refugee crisis, providing families with shelter, food, clean water, and more. 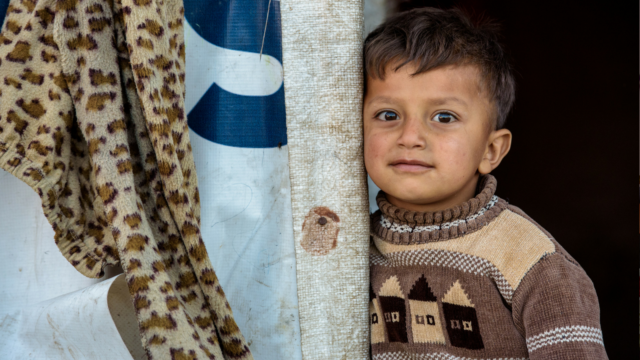 Donate today to our refugee crisis fund to help support the needs of refugees.